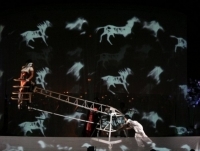 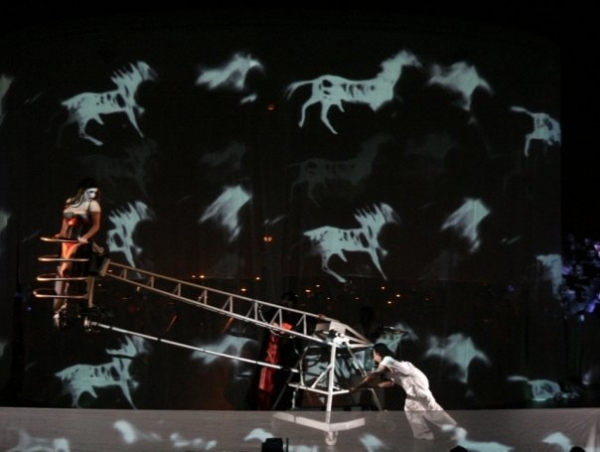 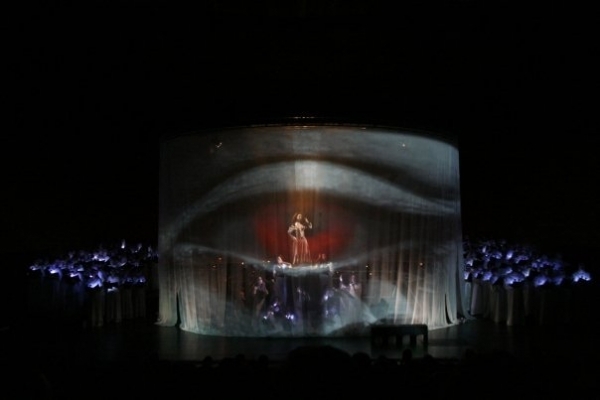 Carmina Burana is a production of Agencia Camera conceived by La Fura dels Baus, developed from the original with the original score by Carl Orff. 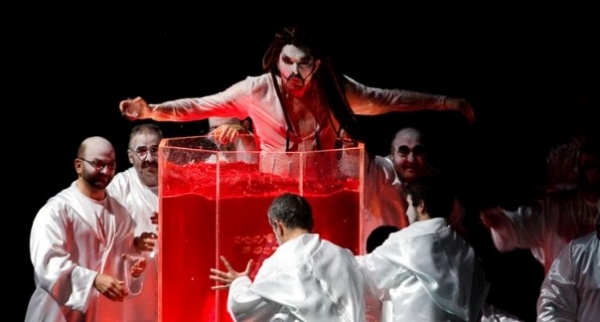 The director Carlus Padrissa has created an intense Carmina Burana, where the spectator is submerged in the universe of La Fura dels Baus thorugh striking imagery, special effects and even spring fragrances. 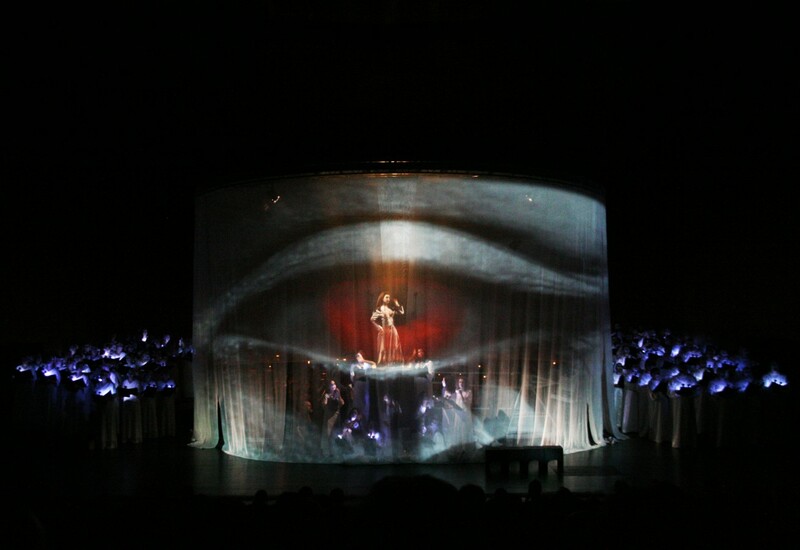 On stage, a huge cylinder covered in tulle, some ten meters in diameter, literally surrounds the orchestra and acts as a cinema screen, while images projected on it illustrate the work from start to finish. 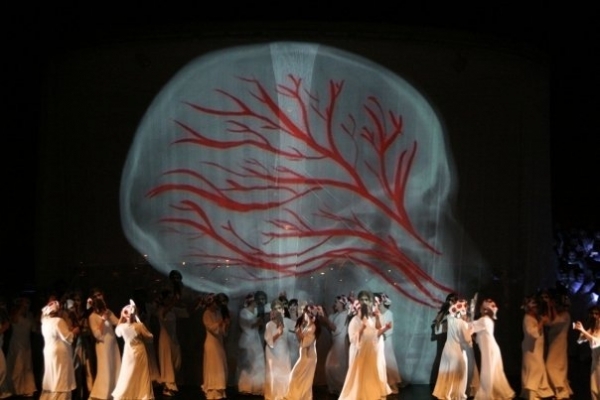 A giant moon, a thraw, waterfalls, a floral ecstasy, real grape-picking, wine, water and fire… Carmina Burana by La Fura dels Baus is music and theatre, a show of senses, vital and energetic that is aimed at a new audience, from music lovers to fans of the performance arts.